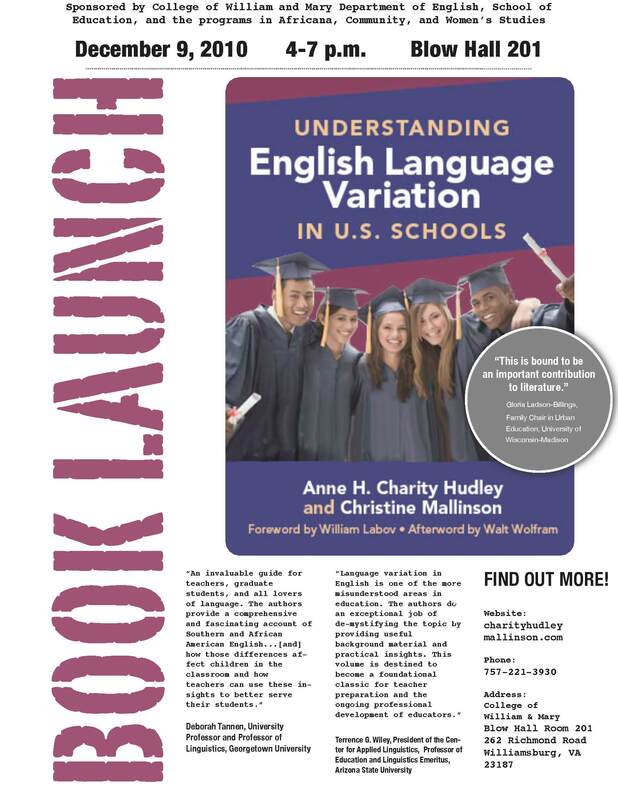 The Department of English, The School of Education, and the Programs in Africana, Community, and Women’s Studies at the College of William and Mary would like to cordially invite you to a book launch for Anne Charity Hudley’s new book Understanding English Language Variation in U.S. Schools on Thursday, December 9th from 4-7 pm at the College of William and Mary in Blow Hall Room 201, 262 Richmond Road Williamsburg, VA 23187. 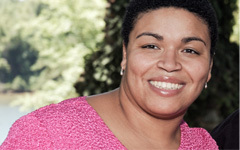 The contact phone number is (757) 221-3930. Directions to campus may be found at: http://www.wm.edu/about/visiting/directions/index.php. All are welcome and an invitational flyer may be downloaded here. Please share with others who might be interested, especially K-12 teachers and parents.